We offer treeless pads from Ghost of Italy and Christ Lammfelle of Germany. 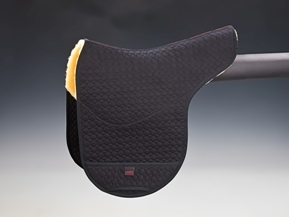 All pads feature a clear spinal channel with pockets either side for inserts and are anatomically shaped and designed for treeless saddles. 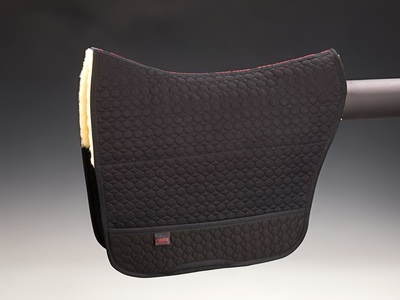 The Christ Lammfelle pads are some of the finest made, and feature luxurious merino lambskin in the saddle area. 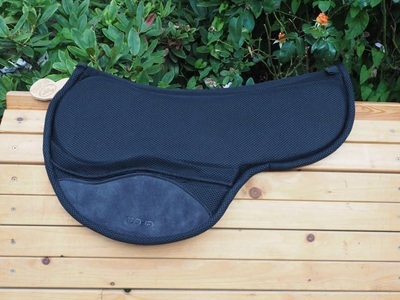 Christ pads can be machine washed on a gentle cycle with wool wash. Ghost Treeless Pads are shaped to the individual Ghost Saddle, are lightweight & breathable, easy to clean, and represent great value for money for a treeless pad.